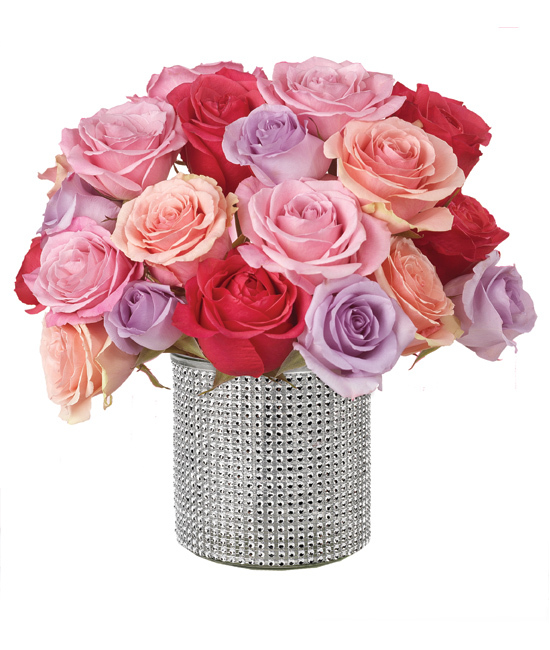 Boldly feminine and glamorous, this luxe rose bouquet is best described in two words: radiant beauty – perfect for Valentine’s Day, birthdays and romantic gestures. 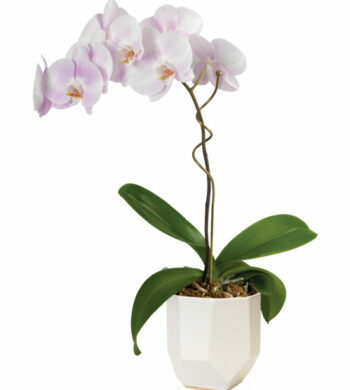 Featured in a bejeweled vase as if fit for a queen or princess. 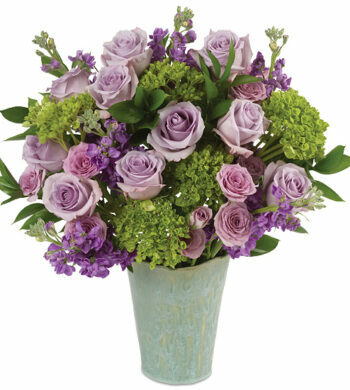 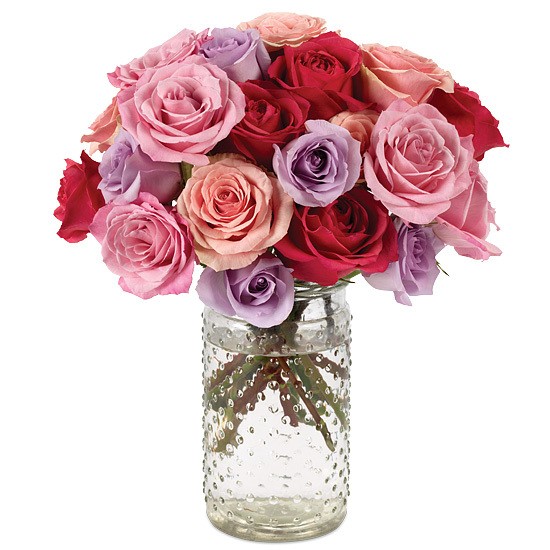 Rose varieties include: bright pink Topaz, lavender Ocean Song, pink Priceless and light pink Geraldine.